Automatic, Leather, Sunroof, Alloys, Bluetooth, alarm, keyless entry, heated seats, car fax clean, no accidents and much more. certified pre-owned. hst and licensing extra. 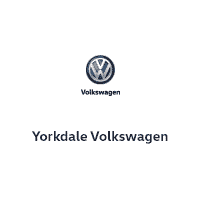 comfortline, manual transmission, 1.8 Turbo, alloys, heated seats, blue tooth, back up camera, alloys, alarm and much more.,Hera is another great deal at Yorkdale Volkswagen! !,New arrival Sale !!! Yes hurry wont last long! !,from $13985 to $12985 plus hst and licensing. Cruise Control Package,One Owner, Off lease, no accidents, automatic, touch screen radio, blue tooth, heated seats, alarm, keyless entry and much more. certified pre-owned. hst and licensing extra. Cruise Control Package,Alloy wheels, heated seats, power windows, remote entry, ,Come in today for a test drive of this great condition Golf! Convenience Package for FWD,One owner, off lease vehicle! Bluetooth, heated seats, leather wrapped steering wheel, alloy wheels, remote entry and much more!,Come in today for a test drive!